Through what we have achieved has enabled NNC to slowly become a stable Program. Sometimes we thought that we could not continue with the inadequacies of the Center; however, we did not give up because the students’ learning progress and growth inspired us. Enthusiasm and joy increased because of the participation and concern from our Community. 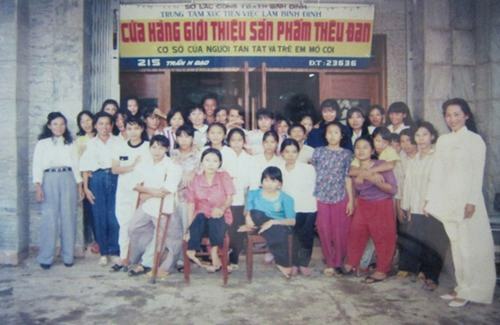 Vice-President Pham Gia Khiem; Minister Mai Ai Truc; Chairman of Binh Dinh Provincial People’s Committee, Vu Hoang Ha, Vice-Chairman Pham Van Thanh, Vice-Chairwoman Nguyen Thi Thanh Binh, ASBHO; the leaders of other governmental departments, and the domestic and international benefactors who often visited the Center. We did not hesitate to accept children with various disabilities. We continued to select and send teachers to training courses for further education for every kind of disability. Although we continued to experience difficulties another class for Down’s Children and a Communication Language Class with 10 students were created.